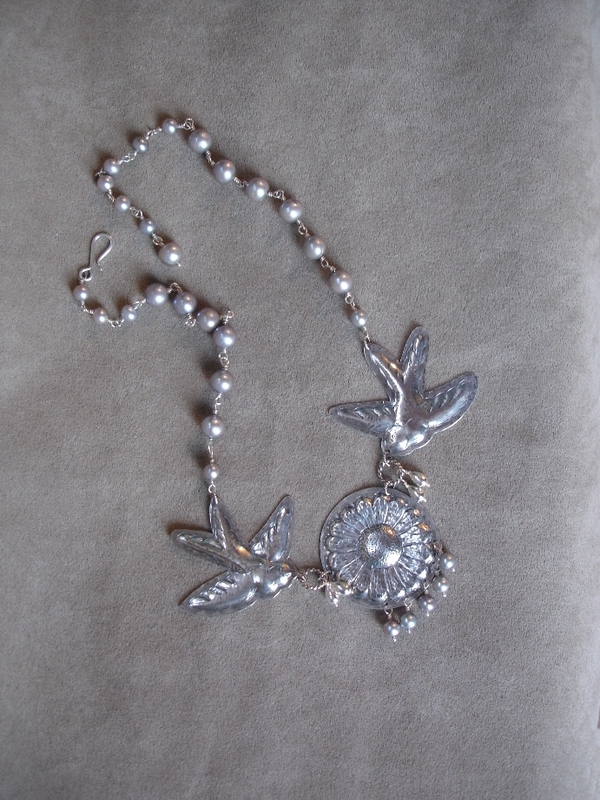 Stunning necklace with repousse elements in Susan Adam's "Alegria" line. "Alegria" in Spanish means cheerful and lively, and sometimes joy. Early Mexican silversmiths employed the repousse technique, which involves hammering the silver from the back. 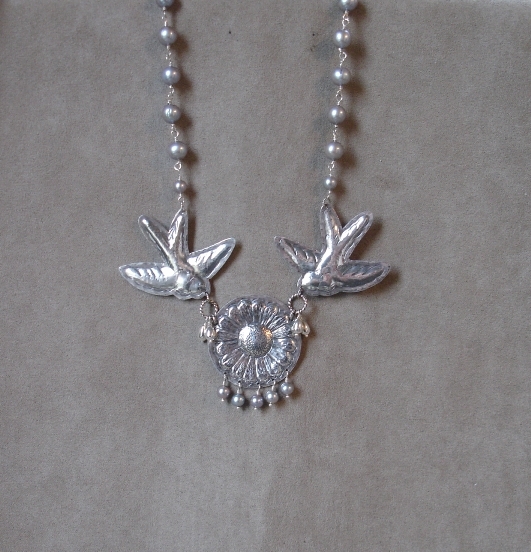 This piece shows two swallows and a large flower, with sterling and pearl drops, and wonderful gray pearls marching up the chain. Can be made with white pearls, turquoise, cz's or other elements for your own look. 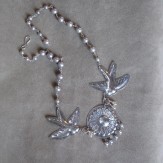 The necklace is adjustable to the longest length of 21.5". The flower is 1.75" long including pearl drops.